As all gardeners know, fall is for planting! That's especially true for trees. There's less chance of drought or sun scorch harming fragile, newly-planted trees. Plus, the cool temperature helps encourage new root growth. 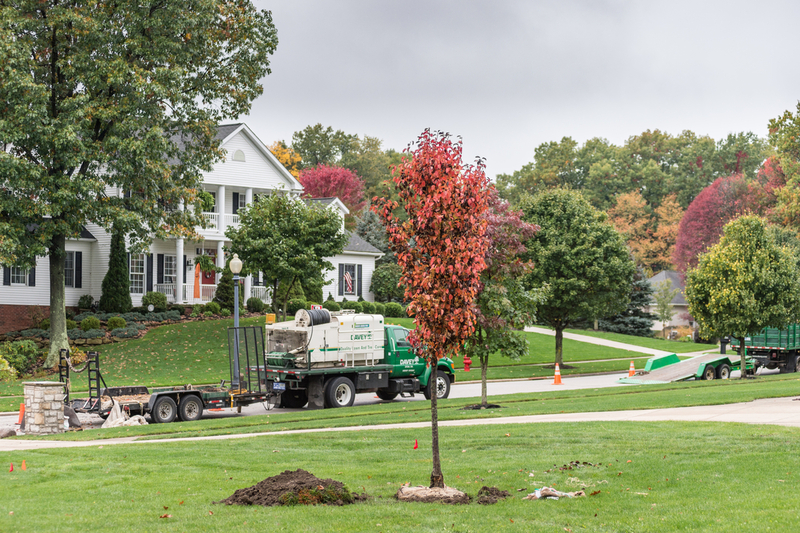 "Trees really make the most of that," said Mike Volz of Davey's Indianapolis, Indiana office. "They already focus on growing new roots in the fall, so planting now helps trees develop stronger roots – and more of them." Take hold of this gorgeous season by planting a new tree in your yard. Volz shares his must-know tips below before you get started. When can I start planting in fall? When should I stop? 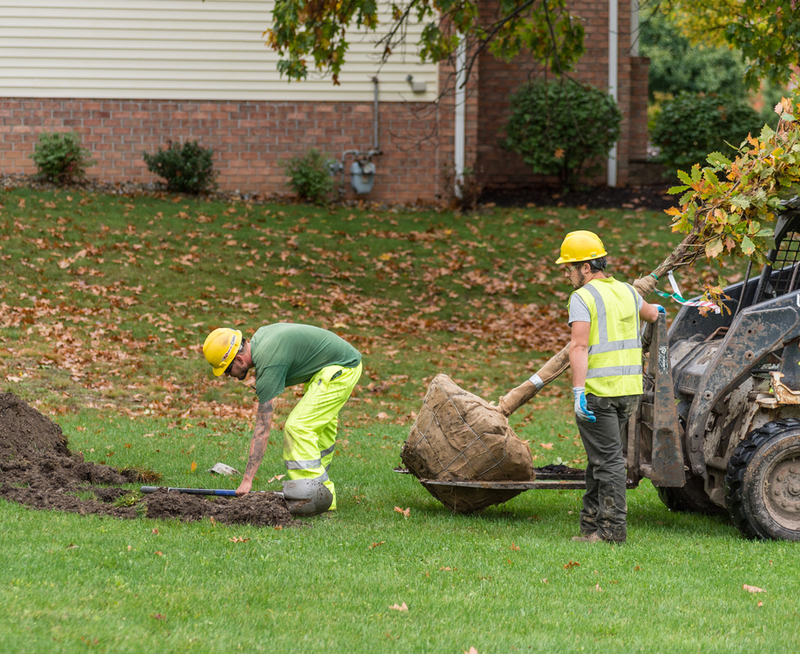 Fall is often considered one of the best times of year to plant new trees. Generally, late August, September and October are the best months. It all depends, though, on when it feels like fall. If the hottest days of summer are gone, and the ground isn't expected to freeze for four to six weeks, you can plant trees. "A good rule of thumb is that if the trees in your area still have leaves, you can plant new trees," Volz advised. To be 100 percent sure, look to the soil. Using a soil thermometer, measure soil temperature early in the morning for a few consecutive days. If your soil is consistently 50° F or higher, you're good to plant. Is fall the best time to plant all trees? As with any rule of thumb, there are exceptions. If you want to plant a birch, dogwood, willow or magnolia tree, wait until spring because they take longer to establish. Fruit trees are also easily damaged by winter weather, so hold those. 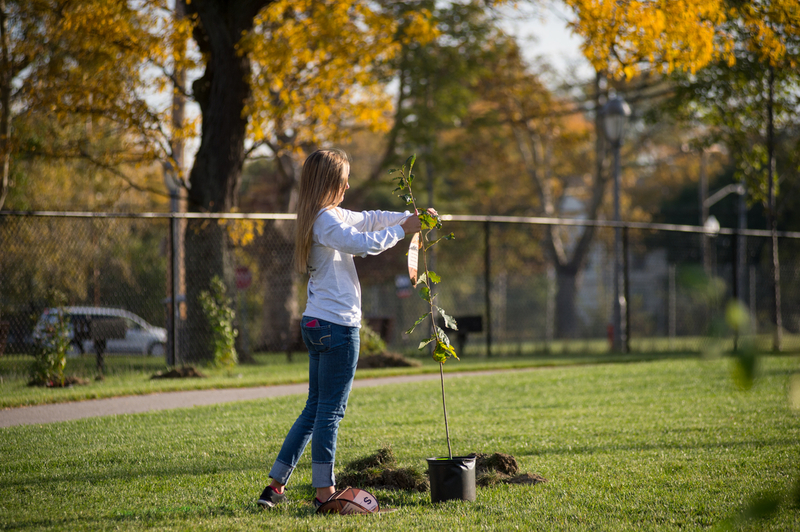 "Other than that, you can plant almost any other tree this fall," Volz said. "Maples, especially, are great to plant in fall." If you have a container-grown tree or sapling, click here for step-by-step planting instructions. If you're planting a burlap-wrapped tree, you're in luck! All you need to do is keep reading. To move your tree, roll it or hold it by the root ball–never the trunk or branches. Dig a saucer-shaped hole as deep as the root ball and at least twice as wide. "The biggest mistake I see people make year after year is planting new trees too deep," Volz said. "Make sure the area where the roots meet the trunk is at or slightly above the ground." Also, make sure the ground beneath the root ball is solid so that the tree doesn't settle lower because of its own weight. Cut the twine and remove the burlap around the base of the trunk and the top of the root ball. It's hard to tell the difference between synthetic and organic burlap, and sometimes even organic doesn't decompose properly. Then remove at least the upper one third of the wire cage. Hold the tree upright and refill the hole with the soil you just removed. If the soil is lumpy, break it up a little before placing back in the hole. Then pack the soil to get rid of any air pockets. Add 2 to 3 inches of organic mulch to the edge of the tree's canopy, and water. If your tree has a small root ball and seems top heavy, stake it to provide enough support. Remove the stake after a year. Want an expert to plant your tree for you? Contact Volz–or any of Davey's certified arborists. Or if you did it yourself, use these care tips to keep your newly-planted tree in good health.